Attending CAWSEL 2017 and learning more about animal welfare concepts, principles of ethics in animal use and animal law, has further equipped me to work doggedly on reforms to improve animal welfare. One such area for reform is the regulation of dog breeding in our state. Puppy farms, also known as puppy mills, are intensive dog breeding operations where dogs suffer unbearably in terrible conditions. Sadly, puppy farms have long been making headlines in different parts of the world including the UK and Australia. Though they may not all make the headlines, there are many dogs who are left with lifelong physical and emotional scars as a result of irresponsible and indiscriminate dog breeding more broadly. The emotional and financial toll on the dogs’ families is also profound. All too often, due to lack of regulation in the dog breeding industry, the people responsible are not held accountable. This must change. Governments around the world are introducing laws to regulate dog breeding and improve the welfare of dogs. (4) mandatory animal welfare standards for dogs. 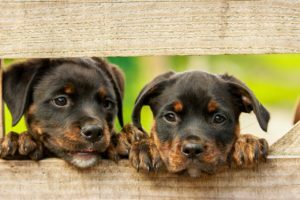 Together, these reforms aim to increase traceability and accountability in dog breeding, reduce over-breeding and the number of dogs in shelters, interrupt the supply chains fuelling puppy farming and improve dog welfare overall. Can we get hens out of battery cages? Conventional battery cages were phased out in the EU by 2012 so you may be shocked to learn they are still widely used in the Australian egg industry today. This is one of the major animal welfare issues Australia faces right now. Motivation to get hens out of battery cages has only strengthened since attending CAWSEL 2017 where we discussed decades of research on the animal welfare issues associated with conventional battery cages. It was invaluable to learn directly from scientists on the European Food Safety Authority (EFSA) Scientific Panel who undertook comprehensive analyses of all the issues. In early 2018, the draft Australian Animal Welfare Standards and Guidelines for Poultry (The Standards) were released for public consultation. The Standards are supposed to outline the minimum requirements for the management of poultry going forward. Shockingly, the draft Standards still allowed hens to be kept in cramped barren cages. There were even allegations that the egg industry had colluded with the government to keep conventional battery cages. 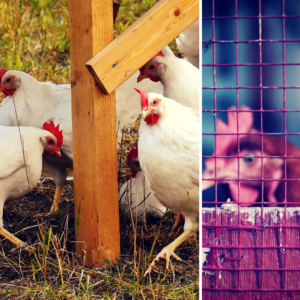 Australian animal welfare organisations, scientists, some state governments and the majority of the general public recognised that overwhelming evidence indicates conventional battery cages pose unacceptable animal welfare risks. An unprecedented number (>165,000) of submissions were made to the public consultation on the Standards. We are now awaiting the outcome. Will hens in Australia still be kept in conventional battery cages for years to come? Or will they be freed from extreme confinement?